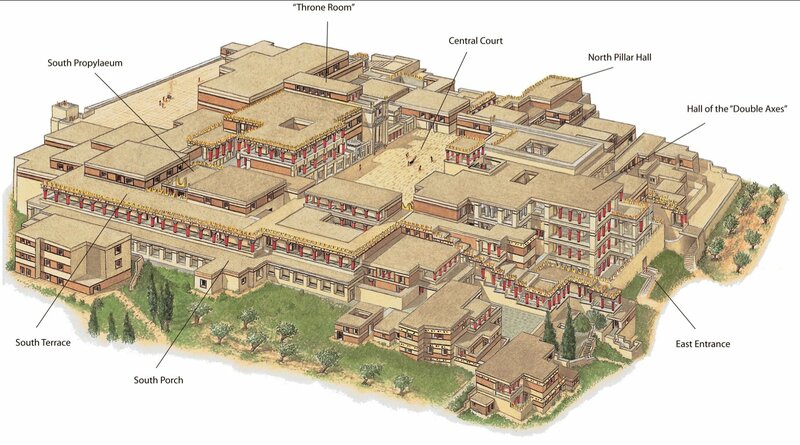 Knossos is the site of one of the most important and better known palaces of Minoan civilisation. It was inhabited for several thousand years, beginning with a neolithic settlement sometime in the seventh millennium BC, and was abandoned after its destruction in 1375 BC which marked the end of Minoan civilization. It was damaged several times during earthquakes, invasions, and in 1450 BC by the colossal volcanic eruption of Thera, and the invasion of Mycenaeans who used it as their capital, while they were ruling the island of Crete until 1375 BC. Knossos was ruled by the dynasty of King Minos and is connected with thrilling legends, such as the myth of the Labyrinth with the Minotaur. 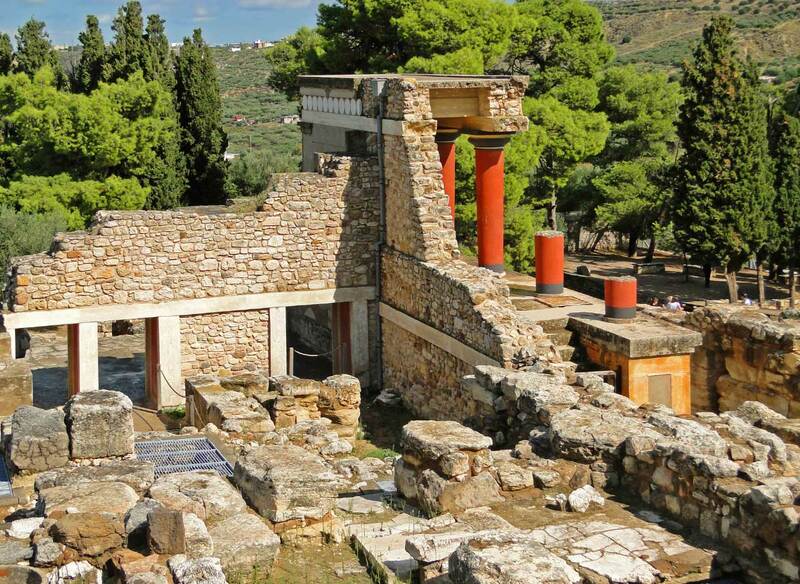 Alive witnesses of the Minoan civilization, one of the oldest in Europe, are the remains of the palace complexes, Zakros, Festos, Malia, built in the whole extent of the island, with the central one, the palace of Knossos at Heraklion. According to tradition, it was the seat of the legendary king Minos and it is also connected with thrilling legends, such as the myth of the Labyrinth with the Minotaur, and the story of Daidalos and Icaros. Beyond the palace complexes, rich settlements were excavated, such as Eleftherna and Gortyna, and thousands archaeological finds came to light to reveal the colossal level of Minoan art. Impressive frescoes, miniature crafts from jewelries to everyday items are the main exhibits in the museums of the island. The story continues and is depicted on the “body” of Crete with defensive monuments such as Fortezza fortress in Rethymnon, the medieval castle of Itzhedin and the Venetian walls in Chania, as well as countless monuments almost untouched by the passage of time lying all over the island, alive remnants of the past. One of the most interesting destinations in Greece is ready to reveal its secrets and beauties!